from Probably your pantry, unless you're a heathen. How do you feel about crumbling up crackers to put in soup? Mmmm... Maybe one day. When you're older. Thank you. I have something to look forward to now. Happy birthday, Crouton senpai. I can't eat croutons anymore since I bought and ate a whole big bag of them, so you're good there. You better have had a stupendous day, though. Now how do you mean that? 'Get a Real LIfe'? 'Gorillas Operate Rickety Levers'? 'Girl, Oooh Remus Lupin'? 'Gyrating on Rocky Lanes'? I can't believe you haven't spoken to me in like 4 years, how could you do this to me? I thought what we had was special. Now now, in my defense... I'm just a bowl of croutons. One could argue that not conversing with a pile of artfully zested stale bread is actually a good thing. That's clearly a subjective viewpoint that I do not ascribe to. Maybe I want to seduce stale bread. Maybe mold is my kink. ...are you implying that I'm moldy?! Bruh. That is decidedly not ok. I feel...wounded. Betrayed, even. How dare you to this to me, Snurtles? You should rename yourself as Nacho Cheese whatever burger. Uh, how good is it? What, the Nacho Crunch? Honestly, it's amazing. Literally one of the most delicious burgers ever invented. I cry tears of joy whenever my taste buds are graced by its explosive flavor. Yup. But we have a Turkey variant as well. And I guess you could opt to switch out the beef patty for a veggie patty, though I'm not a fan of them so I never have. haha. Well, I live to serve. Is this fan fic being told in the present or in a medieval/fantasy setting? It's told in the future of the Zelda universe. So in the same universe as the games, but at a point where magic and legends are considered fiction. Why is discussed later. The legends from the game come into play about halfway through the first story, and then make up basically the entirety of sequel. I'll be honest with you, though- the writing isn't great in the first half of Hit List, but if you can push through it really improves. The sequel isn't done yet, but it should be here in a couple weeks. I was just skeptical at first lol but I'll continue reading it. I like the Zelda mangas, and I like fanfic which the mangas kind of are sometimes. So I'll check it out man. If you want to know the truth about who Link is in Skyward Sword and his involvement in the whole thing, I suggest you read the Skyward Sword manga. Many claim it non-canon, but this is not the case. It is ambiguously canon and made specifically for Hyrule Historia. That's about as canon as you can get, in my opinion. Ah, okay. Well, I've found ways to explain the contradictions, but...quite alright. Everyone has differences in opinion. Just thought I'd mention it. So... now that we can see more clearly, what do the paintings in Snowpeak Ruins depict? See, I was talking to someone else about this on the TPHD thread- I really should have taken some photos to show y'all, but I'm sure someone will get around to it soon. Anyway, Rutella as I mentioned, the two goats, Hyrule Castle, the entrance to the Temple of Time with the two statues, the Arbiters Grounds, and I believe a section of the City in the Sky although I'll be honest and say that I'm a little iffy on that one. Other than that, the only other photo I remember was one of a random older man with white hair, although I don't recognize him from anywhere. ...Yes, that sounds right. The top part looks weird, but the general outline and especially the white section in the middle match exactly with the painting of Rutella in the HD version. I'll see if I can't snap a picture, but the only way I have of doing that at the present is on my phone, and it may not turn out so good... we'll see. Have you seen Mushroom Soup? Because you've been lonely without Mushroom Soup. I feel you, dude. Tomato Soup has been sour with you, right? It's true. I think Tomato Soup knows that deep in my crunchy, zesty heart I am unloyal. Life is hard for a couple pieces of glorified stale bread... then again, a cute salad winked at me today, so I got that going for me, which is nice. 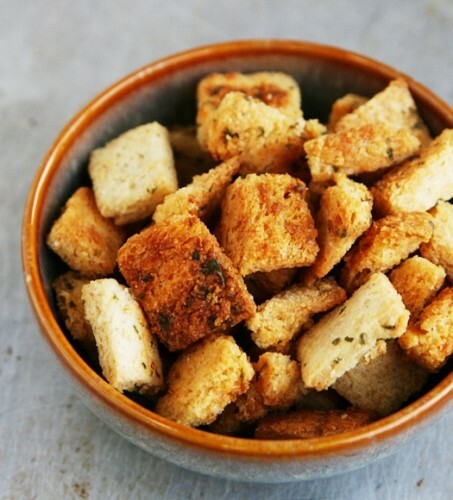 Lol the crouton's. Do you like my avatar by any chance? No, I almost always hate nicknames. Lol. And I could get my name legally changed to that. But jesus why would anyone. why the heckie were you in brazil for two years. isnt getting a brazil when you get your junk waxed bc I'm p sure that's what it is. you missed my eighteenth, nineteenth, and twentieth birthdays. I literally turn 21 in like 5 months. How could I ever forget our epic bromance? I'm still snurtlicious like everywhere because of you! If you have a skype, you should totes add me. We also share a few friends in common!! Baby come back! Any kinda fool could see! That you were meant for me! Oh, then I'll try even harder! Why don't you tell me about your father? ...is what I'd say if I didn't have an imagination. It looks... like a black smudge.